After the end of World War II, and a dismantling of colonialism, newly independent developing nations were keen to make their own way in the world. Back then, economists thought the pathway to economic development was trade barriers and self-reliance through industrialisation and import substitution. Yet that model largely failed developing nations. Just why Third World countries did not succeed puzzled economists in the 1970s. The paradigm changed in the 1980s and shifted in favour of opening up markets to import competition as an engine of growth. During the past 40 years the world has seen countries, notably China, move from extreme poverty to soaring growth. "Every one of those growth miracles involved a lot of export orientation, so that leads us to think that trade must be the key to growth," according to Nobel prize-winning economist Paul Krugman in a recent International Monetary Fund (IMF) discussion. Although he adds that we don't know that trade causes growth. There are problems with the new consensus – that global free trade benefits all parties, by making the pie bigger. One has been that the benefits are not shared around fairly in developing countries. For instance, globalisation increased inequality in South America severely in the 1990s. As developing countries have entered the world market, the least skilled workers have been the big losers – which is contrary to the expectations of economic theory. 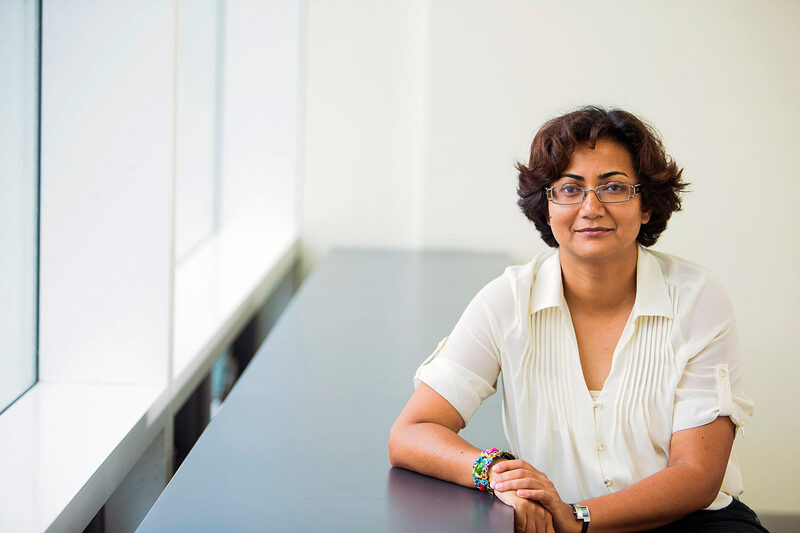 Now economists Arpita Chatterjee, from UNSW Business School, and Reshad Ahsan, from University of Melbourne, have developed a measurable link between trade and development in India – intergenerational occupational mobility. That is, whether sons get better jobs than their fathers after trade barriers are lowered. During the past 20 years, globalisation has increased inequality in India in the jobs market. Yet, in Trade Liberalisation and Intergenerational Occupational Mobility in Urban India, the authors argue it can be a double-edged sword. While increased global trade has increased inequality, it also creates more job opportunities for the next generation, by disrupting traditionally rigid career patterns – including for sons from underprivileged backgrounds. According to Chatterjee, inequality is persistent in all societies. "It is in developed and developing countries, in India and Australia," she says. "It shows up in a lack of occupational mobility when the economic fortunes of a current generation are too tightly linked to their parents' economic status." So a key question is what type of policies reduce this intergenerational inequality. In their research, Ahsan and Chatterjee focus on trade liberalisation as one strategy. International trade and import competition usually worsen inequality, because there is higher demand for more skilled workers, which increases their wages. But there are also more job opportunities created, and high-skill occupations comprise a larger share of employment. Chatterjee believes this is a trade off. Competition from trade produces more inequality but also better occupational outcomes for the next generation – and more social mobility to fill these new jobs. "We explored where this mobility is coming from and it comes primarily from companies' demand for skilled staff," says Chatterjee, a senior lecturer at UNSW Business School. "Even if you are [only] as educated as your father, you will get a better job than him – if you are in areas where trade liberalisation increases the demand for skills and offers better jobs. But we found there has been no great increase in mobility from education alone." Once regarded as one of Asia's more closed economies, India experienced a rapid increase in trade following its open market reforms in 1991, which cut tariffs by two-thirds. The researchers compared urban manufacturing centres in India that were opened to import competition with those that were less exposed to international trade. They drew on India's National Sample Survey Organisation data, which provided a large sample of 7739 men and their detailed occupational classification. They were spread across different Indian districts that had different tariffs, and were exposed to competition from international trade to different degrees. The research was able to draw on massive and unexpected tariff cuts (on average, from 149% to 45%) faced by Indian domestic firms during an acute balance of payments crisis of 1991. The Indian government at the time had approached the IMF for assistance but it only agreed on the condition that import tariffs be reduced. The researchers compared sons' occupations with their fathers in those districts with varied degrees of exposure to the tariff liberalisation. The results suggest that districts with greater exposure to trade increases the likelihood that a son will be in a higher ranked (measured by skill-intensity) occupation than that of his father by 46%. These results also hold for sons who have fathers in low-ranked occupations. This is an important effect because while sons are getting better jobs than their fathers in districts affected by trade, it shows the increase in mobility is not just concentrated among privileged workers, but is more evenly shared. The extent of upward intergenerational mobility among underprivileged workers illustrates the inequality of opportunity in a society. The sample survey figures show occupational mobility – the ability to get a better job than your father's – is weak in India. If a father is at the bottom of the occupational pile, so too will be his son, in about 60% of cases. It is the same for those with the top jobs – their sons are about 40% likely to follow suit. "Thus, to the extent that greater trade leads to greater occupational mobility in India, it has the potential to significantly improve the lives of workers from underprivileged backgrounds," say the authors. The mechanism by which this is achieved is that the threat of foreign competition from international trade encourages local manufacturing business to be more innovative in order to keep up. Greater competition induces the best incumbent firms – ones that are close to the cutting edge of technology – to engage in greater research and development activity, increasing productivity and demand for skill. There is an increase in the share of high-skill employment in these districts and sons are more likely to be employed in industries that are more skill-intensive and industries that are closer to world technology standards. To the extent that some of these new jobs in high-tech firms are taken by underprivileged sons, trade liberalisation will lead to them getting higher ranked jobs than their fathers. But it also has the depressing effect on firms that are further away from the frontier to lower their innovation activity. Such low-tech local firms will lower their innovation activity and demand fewer workers when entry by foreign firms is more likely. Overall, this rise in relative demand for skill leads to an increase in inequality. However, the same mechanism by which trade-liberalisation worsens cross-sectional inequality will lead to higher intergenerational mobility. Hence, to fully understand distributive effects of trade liberalisation, it is necessary to incorporate both static cross-sectional and dynamic intergenerational effects on inequality. Page last updated: 17/01/2018 1:12 AM Disclaimer Some pages on this website are updated dynamically on a regular basis. This may not be reflected in the ‘Last updated’ date.